Not much more to say than its worth every penny, easy installation and great sound from this product! Came from the smh-10r. Although I like how steamlined that one was, the sound on this is so much better. Can’t wait to try it out with other riders! Honestly I am really happy with the product I bought, this sena has everything I need to go for a ride and listen to my music or talk on the phone, you can hear everything so clear and also blocks noise for whoever is talking to you, I was riding my motorcycle and it’s actually pretty loud and I was on the phone and my gf told me she could hear my motorrcycle at all, she could hear me loud and clear, honestly the best product and revzilla is the best store to buy it off from, they send it to me the next day I purchase it and also did a great job packing it! I would give them an 11 out of a 10 honestly. Myself and 2 friends rode across the USA, 7,600 miles, and we purchased the Sena30k for this trip. It was terrible. Dozens of times we were at stoplights, riding close together, etc and the conversation was interrupted by static and brown up digitally. We did a firmware update, and we even got Sena to give us a new set, and that second set was no better. If listening to your music or making/taking calls as a solo rider is your bag this will do just fine. The quality of the sound with any bass isn’t great mind you, but it works in a solo/1 rider environment just fine. One of my two friends just got a PalkTalk slim and he said it works perfectly with his enduro buddies, so I’m tossing my Sena in the trash and getting one. Was a little challenge getting it all to work properly. Was with a big group of riders with various SENA Bluetooth setups. We did manage to get the group linked up, but had some trouble using vox while playing music. It seems that the latest gen links up the best and works the most seamless, most trouble we had was linking with the olders models of communicators. I played over 600$ for a 30k dual set. I have tried then for the last 10 months and 8000 miles and have concluded that the 30k's are junk. They are almost unusable. The wind/statics noise sound that starts at 50mph is enough to drive you crazy. I tried to adjust using the app with no luck. We have constant pairing failures and the battery life is not close to what is advertised. Don't waste your time. Sena's customer service is being handled by a company named Zendesk. It is now completely impossible to reach anyone who actually works for Sena. Judging by the broken English used in their communications, Zendesk "customer service" agents are located outside the U.S. These "agents" cannot comprehend the simplest of instructions or complaints, and will lie to cover up their ineptitude. Sena is either unaware of this, or doesn't care. 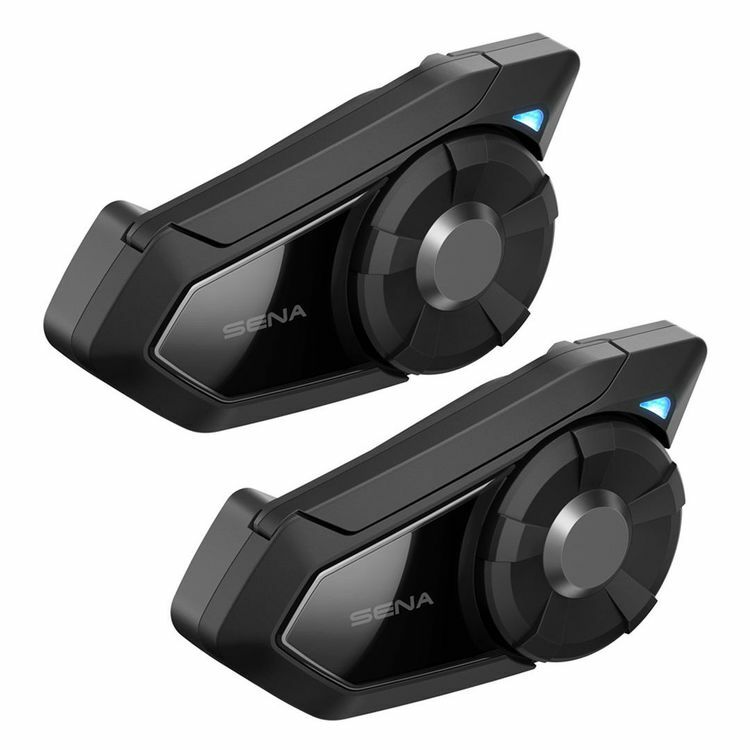 Either way, I am so incredibly sorry that I spent the money for a Sena 30K Dual Pack, to use with my Sena Freewire, on my 2013 Goldwing. My unit does not work as advertised, and I have it in writing (from one of these "agents") that the 30K dual pack will lose its intercom ability, whenever the Freewire is turned on. I have since returned my units to Sena for replacement, and cannot seems to get them to send my replacement units to me. I don't know what the threshold is, for operating illegally, but Sena/Zendesk is pushing the envelope. I love my 10R and have a couple of new helmets that I am outfitting in preparation for some long distance rides. These look to be perfect for our trip. I chose the 30k because of the expandability of the dynamic Mesh. Many other riders will be here soon. I chose the Dual pack because I like to share with my fellow riders! Need to communicate with my riding friends. I want to be able to use my phone, listen to music, hear my navigation and talk to friends who are riding with me. Ease of pairing with ride group and communicating over longer distances as our group gets spread out. How do we know this won't get pushed back again until December or January? 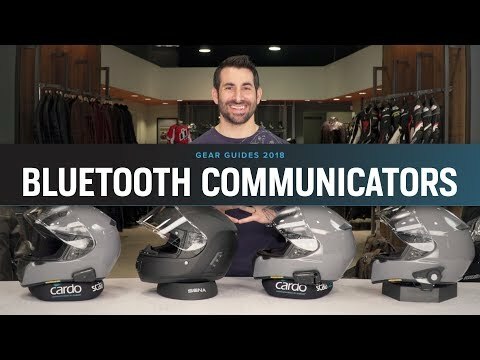 In which way is the 30K better than the 20S EVO other than mesh communication? I would like to see the pro's and con's between the 20S EVO and the 30K. BEST ANSWER: Except for Mesh Mode, the 30K is not better than the 20S/20S EVO. The 30K does not do audio multi-tasking in Bluetooth mode. 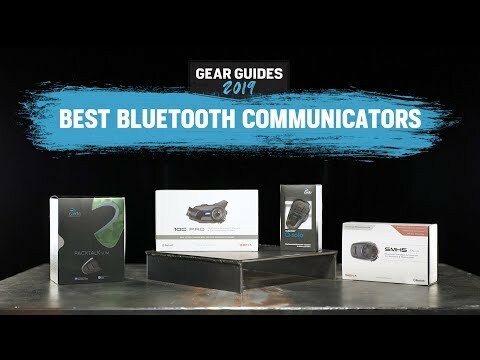 In Bluetooth mode you have to switch between intercom and music/GPS. I have found that the unit locks up and has to be restarted after switching back and forth a couple of times. The 30K is much WORSE than the 20S in every way. what is the 30K's IP rating? is it weatherproof/waterproof? BEST ANSWER: I got caught in a 30 minute downpour coming from Biketoberfest and experienced no problems. The 30K is designed to be water resistant and can used in inclement weather. Will this plug into existing 20S bases? BEST ANSWER: Yes, the base mount is interchangeable according to the Sena web site. BEST ANSWER: I had the SMH 10 before the 30k and had a problem hearing the intercom above 50-55 mph. With the 30k my wife and I can hear very clearly up to 85 mph, it becomes a little hard after that, but that's ok, we don't plan to ride that fast too often. Does the 30k have audio multitasking feature like the 20s? BEST ANSWER: Yes. The 30K has the Audio Multitasking feature which allows you to talk to others using the Mesh Intercom feature and listen to music, the FM radio or GPS directions at the same time. Will this work in stereo mode with the Harley WHIM? Will this work properly with the new harley WHIM? The older 20s only worked in mono not stereo. Does the Sena Dual Pack come with 2 complete accessories setup or just 2 units and one complete accessorie setup? BEST ANSWER: It comes with 2 complete accessories set up, it’s two complete units in one box. Two complete units with all accessory pieces to put on two helmets. It is two complete setups including accessories for both. It comes with two complete accessories setups. 2 complete accessories set up. How is this device installed is it easily installed? BEST ANSWER: All hardware for installation is included for multiple styles of installation. The recommended installation method has you sliding a plate between the shell and padding of your helmet and then placing the rest of the Sena mount onto the plate and screwing them together to compress the two halves against the helmet shell. You can then place the sena on the mount. You will have to find the right mic and headphones locations and then use the included hook and loop fasteners(velcro pads) to mount them appropriately. After that you will need to hide/secure the wires for the mic and headphones to complete the installation. All in all expect to spend 30-60 minutes getting it installed depending how lucky you get with placement(I had to relocate the headphones quite a few times). It depends on how your helmet is constructed but rest assured sena includes various mounting methods to make sure it’s comparable with a wide variety of helmets. I recommend searching YouTube for install videos similar to yours. The 30K mounts similarly to the older sena models so you can check those videos too. This video from Sena should help, and it’s not very hard.